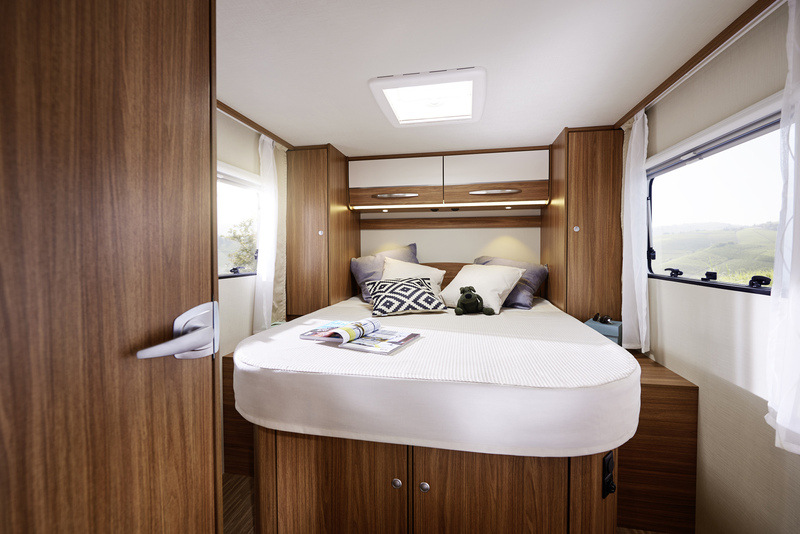 It has a double bed up to the cabin. 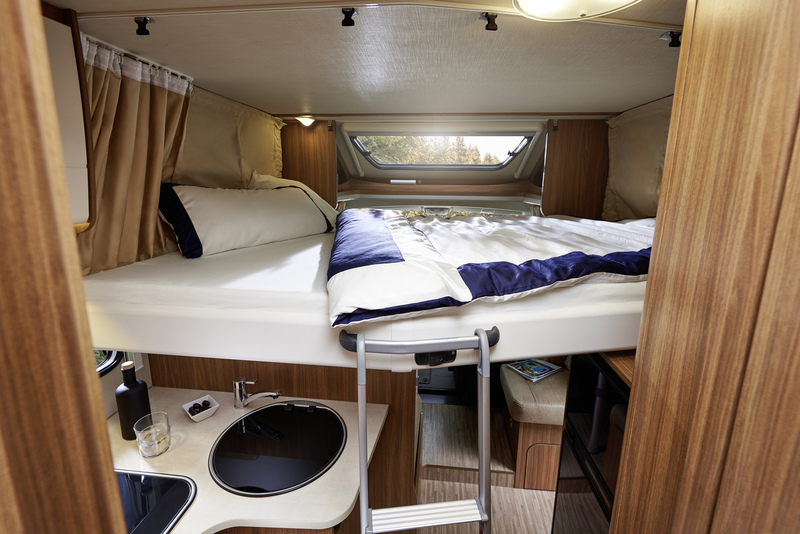 And a double bed in the back part. 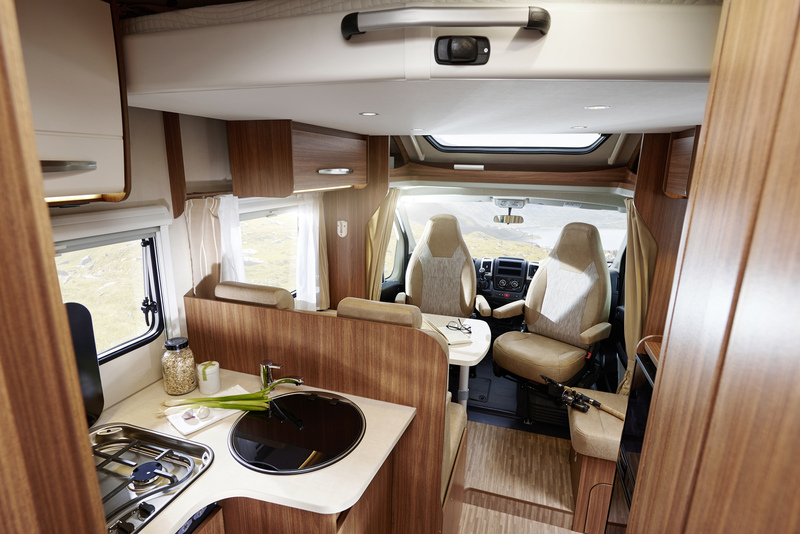 This motorhomes has a better vision to drive, and it is a little bite wide . Both of them, (groups a, b and c) with Good aerodynamic. 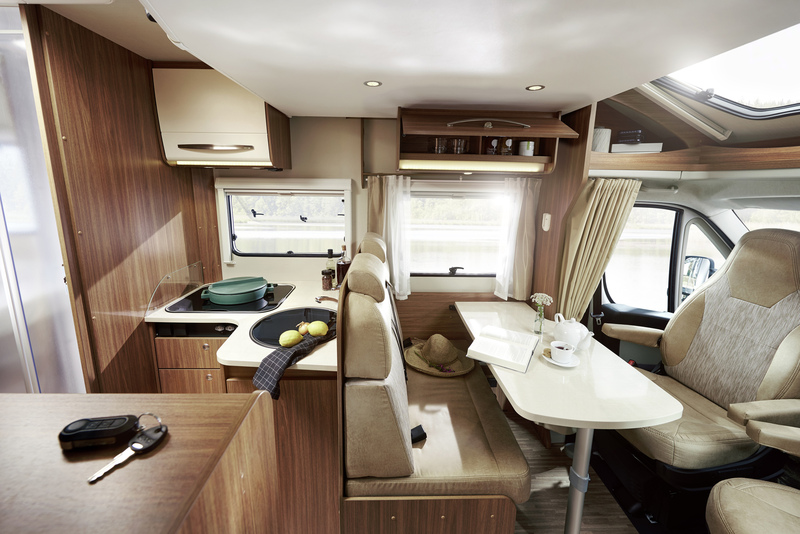 The consumption of these motorhomes are 9 litres each 100 kms, the consumption is around 14 litres each 100 kms. This Group has big fridge, separated shower, and big dinned. Very Comfortable. 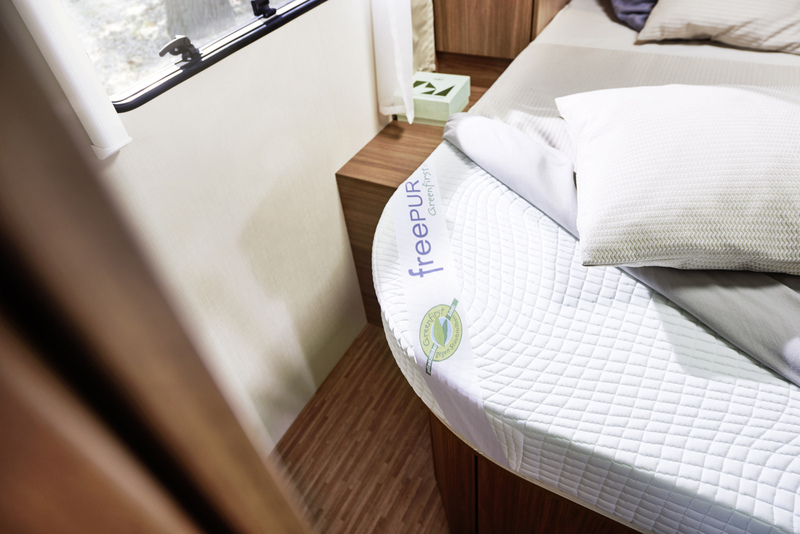 This model are suitable for four berth, with the same dimension of group A. It is perfect for a couple or for a family with one or two children.